Businesses in the Mill Products and Mining industries are heads down, working incredibly hard pursuing innovation in ways we haven’t seen before to help the world run better. That’s why SAP has grabbed a shovel and wants you to grab one too. Let’s dig up the hidden digital gems together by sharing your innovation story and entering the 2019 SAP Innovation Awards. The SAP Innovation Awards are an opportunity for best run customers and partners to showcase how they are driving innovation, making their business more intelligent, and utilizing technology to make a difference. This year, customers and partners using any SAP product or technology to drive innovation are eligible to submit. Winners will be showcased at SAPPHIRE NOW in 2019 and will benefit from promotional opportunities with SAP. Finally, up to $25,000 in charity donations will be awarded based on submissions alone. More details on the program timeline and prizes are available here. Except for the Next-Gen Innovator Partner, all submissions will be eligible for the Industry Disruptor award. Partners that submit on behalf of a customer should ensure they have obtained customer consent to participate. Each entry will be reviewed and scored by a panel of SAP industry judges. To stand the best chance of claiming the Industry Disruptor award, be sure your pitch deck both highlights how your company is progressing toward the intelligent enterprise via use cases and clearly outlines the business value and outcomes of your innovation, which may even include positively impacting lives. If you’ve been keeping your nose to the grindstone, we want to hear your #SAPInnovation story. You can find more information on the award timeline and list of prizes here. 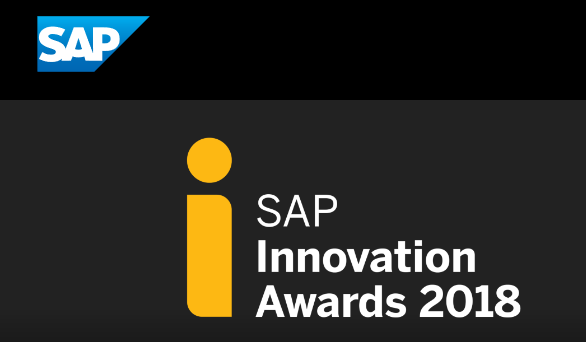 For details on the judging criteria and category definitions, visit the SAP Innovation Awards website. The submission period is open now; all entries are due by February 8, 2019. Get started today and remember to join the conversation online with the hashtag #SAPInnovation. For more innovation stories in the metals, mining, paper, packaging, building materials industries and more, follow us on Twitter and join us on LinkedIn, Facebook and Expert Pages.